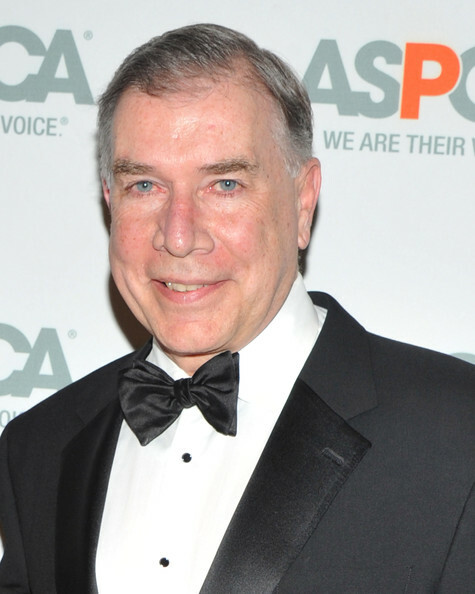 Ed Sayres, the former president of the ASPCA, has been hired by the Pet Industry Joint Advisory Council, an industry lobbying group that supports puppy mills and fights animal protection legislation to curtail the abuse and sale of puppy mill dogs. They fight efforts to allow people to receive sentimental damages when their companions are negligently, recklessly, or intentionally injured, such as in veterinary malpractice cases. When tainted pet food from China peddled by their members injured and killed animals, they fought efforts to ensure that families were fully compensated and that the industry was rigorously regulated. And they fight efforts to ensure that anti-cruelty enforcement provisions apply to puppy mills. To call them “anti-animal” would be an understatement. In the case of puppy mills, they embody it. Published a guide for shelters about how to defeat shelter reform efforts by animal lovers in their community. Sayres current job as a lobbyist for the puppy mill industry merely continues his long tradition of undermining the welfare of animals for a handsome paycheck, with one crucial difference: he no longer has to pretend he actually cares about animals in the process. What a relief that must be for him. In light of this news, there are many animal lovers who are expressing shock and anger. For those who know little about Sayres’ actual history in this movement beyond reasonable assumptions about what the former President of the nation’s largest animal charity should stand for, this response is understandable. Outrage is certainly called for. But shock? Not if you know his history. Indeed, a little reading about Sayres’ sordid past will resolve any nagging confusion about how he could possibly do such a thing. He is merely behaving as he always has. The most pressing and important question is, How was he allowed to get away with doing the things he did for all those years when he clearly didn’t care about animals? For not only did Sayres suffer no professional repercussions for his actions (and his breathtaking professional incompetence), he was, in fact, rewarded for them. Not only was he continually promoted to ever more powerful and financially lucrative positions during his career, ending with his tenure as the President of the ASPCA where he took home $550,000 a year, but he continually enjoyed the political cover of other powerful “leaders” in the animal protection movement who time and again came to his defense, treated him as a legitimate colleague, shielded him from accountability, and, in some cases, even did his nefarious bidding. The ASPCA Board of Directors, Best Friends Animal Society, Maddie’s Fund, HSUS staffers, the Mayor’s Alliance for NYC Animals, and many other groups, aware of his betrayals, none-the-less partnered with, defended, gave legitimacy to, or celebrated Ed Sayres, while maligning his critics who had every right to expect better. In the case of Best Friends’ Gregory Castle and Francis Battista, they helped him to defeat legislation that would have saved the lives of tens of thousands of animals a year by calling the supporters of a New York rescue rights bill and asking them to withdraw their support in deference to Sayres’ opposition. Battista went so far as to say he would never support legislation opposed by Sayres, even one that promised to save tens of thousands of animals every year (ever the chameleon, Battista was shamed into doing exactly that one year later). This sort of behavior which benefited and no doubt emboldened Sayres again and again helps explain exactly how he got away with the things he got away with: those in positions of power within our movement let him get away with it. Nor is Sayres an aberration. He is merely one of many symptoms of the disease that continues to ravage the animal protection movement at the beginning of the 21st century: a failure of authenticity and our movement to stand for inviolate principles rather than the ego- or cash-driven ambitions of those in positions of power. For the fact that Sayres will now use the power and position afforded by his title as the former President of the ASPCA to openly champion the cruel, abusive puppy mill industry, mislead the American public about that industry, and fight efforts to regulate it, we not only have Sayres and his dark, uncaring heart to blame, but his legion of enablers as well. Straight out of a Mary Shelley novel, he is the Frankenstein’s monster of our movement’s own creation, come back to haunt its creator. What will these other so-called “leaders” of the animal protection movement take away from this teachable moment? Are they wringing their hands or searching their souls? Feigning shock or feeling dirty and complicit? Staying the course or finally recognizing that when a person’s actions show you who they really are, you ought to believe them and act accordingly? In other words, will they now fight rather than defend individuals like Wayne Pacelle who likewise sabotage, rather than further, our cause? Like Sayres, Wayne Pacelle of HSUS is another “leader” who works against the cause he is paid to promote, another man who sends animals to their needless deaths, who fights shelter reform efforts while celebrating those who harm animals (including rescuing from financial and professional oblivion the infamous animal abuser, Michael Vick, while simultaneously lobbying for his victims to be killed), and who works to defeat rescue rights bills and other animal protection legislation. Like Sayres, Pacelle is another emperor with no clothes, surrounded and enabled by colleagues who refuse to admit to the inconvenient truth about Pacelle for fear of jeopardizing their own ambitions, the animals be damned. Like the movement did with Sayres, will it continue to allow him to take actions that harm animals simply because he works for an organization that calls itself humane? Wanted to empower for-profit companies to have more rights to animals in California shelters than their families.